The Actual Date Of Ice Cube's "It Was A Good Day"
It took meticulous research, but one blogger narrowed found the actual date Ice Cube was rapping about in "It Was A Good Day." 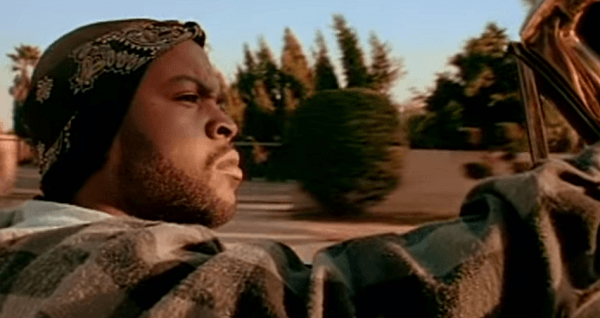 When listening to Ice Cube’s “It Was A Good Day,” you’ve surely wondered just what day that was. Well, through some truly impressive, thorough, and meticulous research and deduction, blogger Donovan Strain figured it out. In fact, the actual date in question turned out to be 24 years ago today: January 20, 1992. 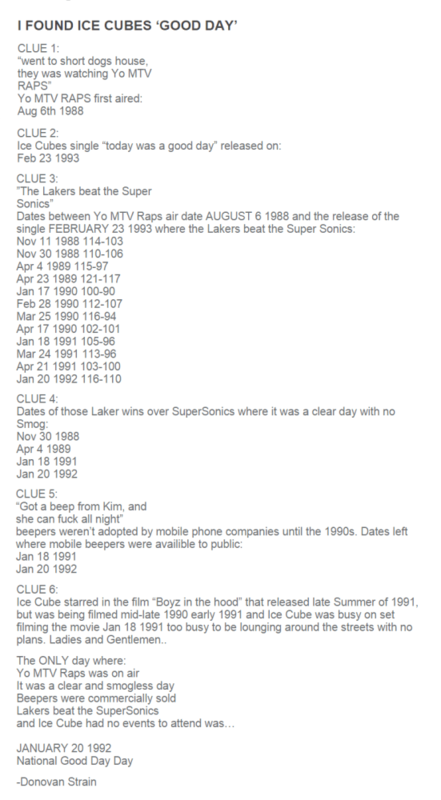 To whittle down the possible days, Strain undertook comprehensive research of weather patterns, Lakers-Supersonics games, and MTV schedules. While other bloggers disputed his logic, Strain’s discovery took the Internet by storm. So much so that Goodyear celebrated by taking Strain and Ice Cube up in one of their blimps and scrolled “ICE CUBE SAYS TODAY WAS A GOOD DAY” over the city of Los Angeles from the side of their blimp on January 20, 2014.